Three pass boiler, with one oil fired furnace. Compound engine with Gooch valve-gear. 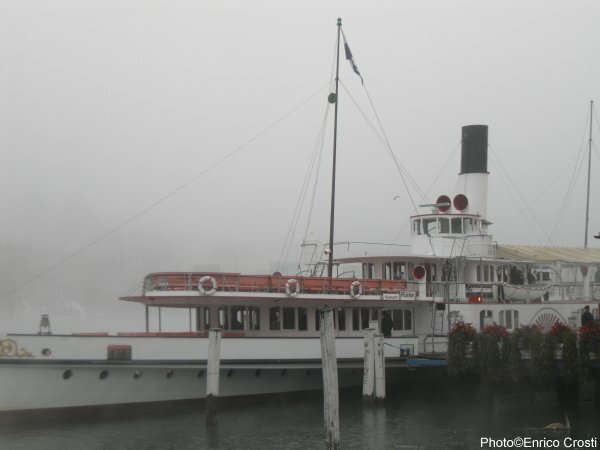 Paddle steamer Schiller in the mist. 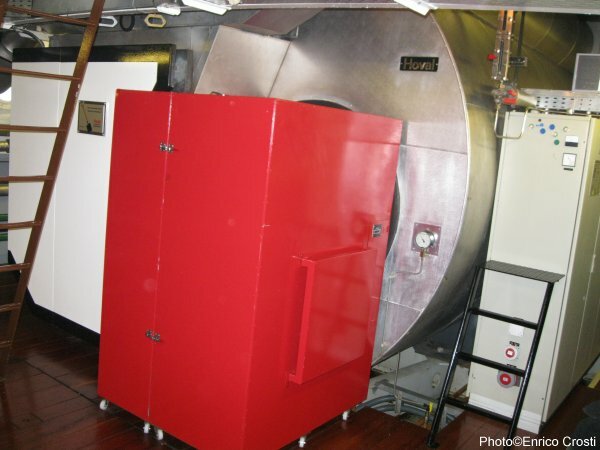 Paddle Steamer Schiller's boiler and its burner behind the red cover. 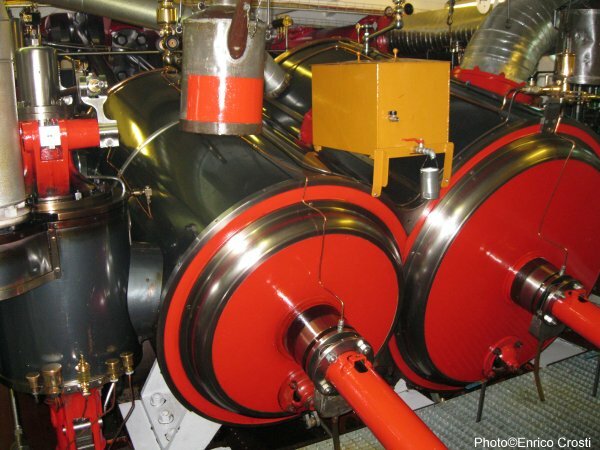 Steamship Schiller compound engine's cylinders. 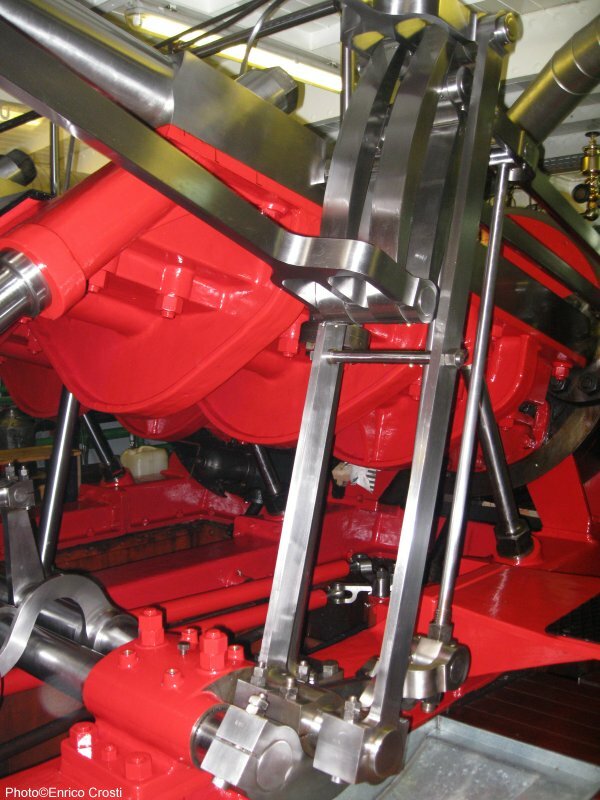 Steamship Schiller's Gooch valve-gear linkage. 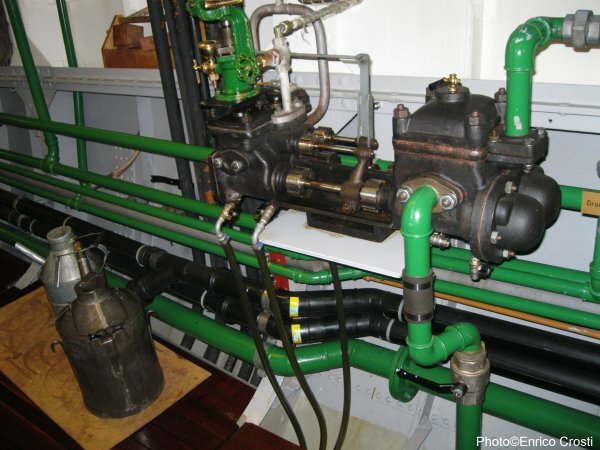 Paddle Steamer Schiller duplex pump. This is not the most common type of duplex pump!